When people are going through a divorce, there are usually two directions that a divorce can take. 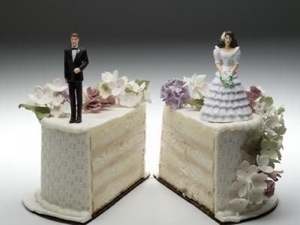 Divorces can go an easy route and reach settlement or they can go the “hard way” which is through litigation and trial. The idea of setting cases is not limited to divorce cases and this concept also applies to paternity cases (where children are born out-of-wedlock), relocation cases, custody and visitation rights and all other Family Law Matters. Some attorneys do not take the position that they should try to settle things quickly, because many attorneys are paid hourly and therefore they would earn substantially less money than they would if a matter was resolved quickly and easily through a settlement. This may place the interests of the attorney ultimately at odds with the interest of their client. In my practice, I advise clients that settling their case amicably is not only financially to their advantage, but it also results in a much quicker and easier transition to post-divorce life. The emotional roller coaster of litigation is extremely costly and painful and even with a positive outcome in the end, the other side will still seek to litigate endlessly after the conclusion of the divorce or other Family Law case. There are times when there are no alternatives, but to litigate if the other side or their attorney is unreasonable and pursues a fight. As a Supreme Court Certified Mediator, I believe that a good faith attempt to settle every case should be made at its inception. The party I represent is demonstrating good faith and this goes a long way.